Let’s say you want to get a startup idea off the ground very quickly, at least to see if it’s worth pursuing. Follow this little startup cheat sheet and you’ll be up and running in under 4 hours. Figure out what you’re planning to do. Do some quick research. Use Google Trends. Make sure there are people searching for what you are thinking of offering. Spend 2 hours on this. If you can’t find a way that you’re planning to build is better (read: cheaper/faster/easier/prettier/more suitable for a real market or industry), then you need to keep working. You’re not ready. Find a name. Brainstorm a list of about 20-30 words that are relevant for what you want to do. Use BustAName (free to use) or Brandbucket (expensive but good) to search for available domain names or domain names that you can buy. Do a Google image search on that name. Get hosting. I recommend GoDaddy, DreamHost, and Amazon Web Services (virtual servers – so a bit more complex & more expensive). Get a decent theme. I like the Customizr theme, or a lot of the premium themes on Themeforest for around $50. Get a logo. 99designs (more expensive) or contracting 2-3 people on Fiverr. One good approach on Fiverr is to pay several designers for the same job, and then pick the best one, and potentially pay for another 1-2 gigs (so up to an additional $10) for fixes/tweaks to make it better. You can also get a free logo at Hipster Logo Generator or WithOomph. Or just use Google Fonts in Poster mode and take screenshots. Note that you’ll get white backgrounds on these. You could use Pixlr for creating a logo with a transparent background. Go to the Adobe color palette generator to figure out a good color scheme for yourself. You can usually pick 1-2 colors that you absolutely want, and then find other palettes created by other people. Sample them and save the colors by name and most importantly, by hex code. If you need decent glyphs and icons, check out icomoon.io or Glyphicons. Google+ (low traffic but crucial for SEO) and search juice. LinkedIn (mostly for reputation/credibility: if you’re doing anything B2B. For B2C stuff, it’s probably unnecessary). Get images for your blog or site at PhotoPin or FreePik. A square (or round that fits into a square). Create it at something like 900 pixels by 900 pixels, and then resize to 300×300 and 150×150. All of these will also require the square version for a logo. 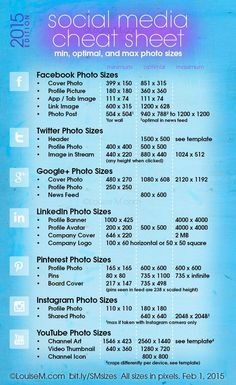 Btw, check out this super helpful social media cheat sheet. Set up content to tell people about what you’re doing. Create a landing-page style page on your WordPress site. At least 300 words, 1 image, your logo, 1-2 links to relevant articles on TechCrunch or Wikipedia. Optional: Go back to Fiverr and pay someone about $50 to make a 1-2 min video that describes your idea. Embed that on your landing page. Sign up for Google Analytics and enter the tracking ID in your WordPress site. Buy some Google ads to drive some traffic. Answer anyone who fills out your form and gather more info on what they’re looking for. You could also do this by putting up a survey on SurveyMonkey or making a Google form. Add anyone who contacts you to your mailing list. Get the MailChimp for WordPress plugin, and let anyone who signs up on your site be automatically added to your mailing list.